Have you Triple Dipped Lately? 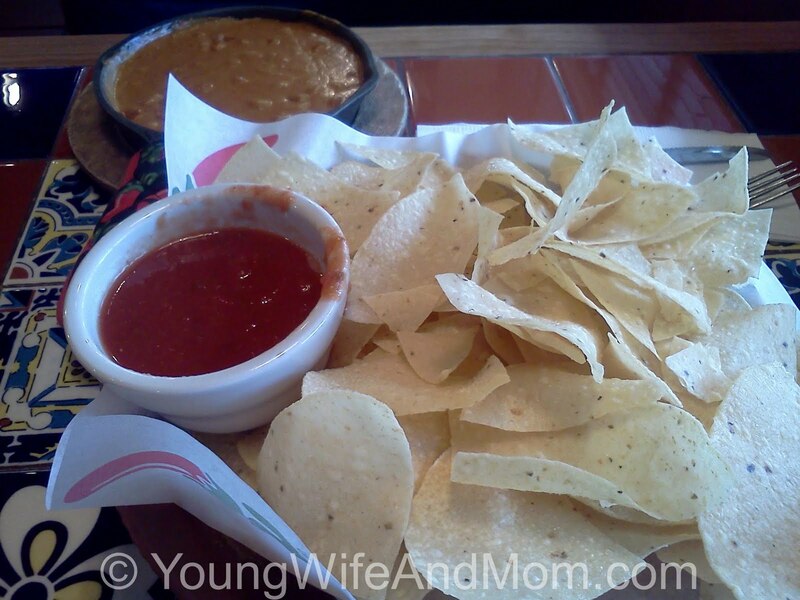 A Review and $20 Chili's Gift card Giveaway! My family currently consists of 3 members - me, hubby and our little one. So when we go out to eat, do we get 3 dinners? 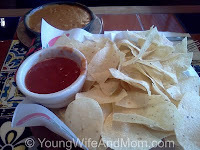 Nope, typically hubby gets his own while me and the little one split but we do all share the appetizer, which is why The Triple Dipper at Chili's is an awesome fit for us. So it got me thinking. "If I could have any 3 of my favorite foods on one plate, what would they be?" A tough question but my final answers would be creme brulee, baklava, and roasted duck. Weird combo, right? It's been a while since my family have had the Triple Dipper, so me and the little one headed to Chili's over the weekend. Of course we had to join their email club first and received a coupon for a free Chips and Queso! 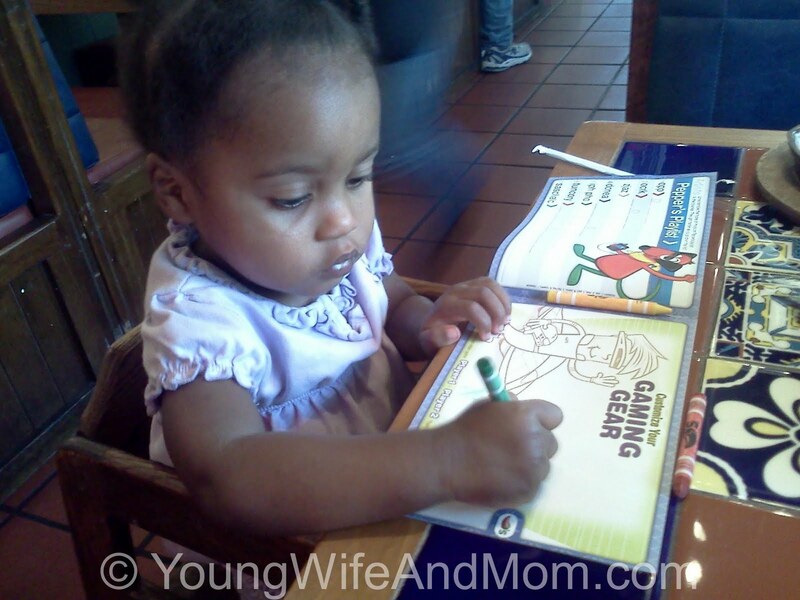 Getting in some coloring before the food arrives. 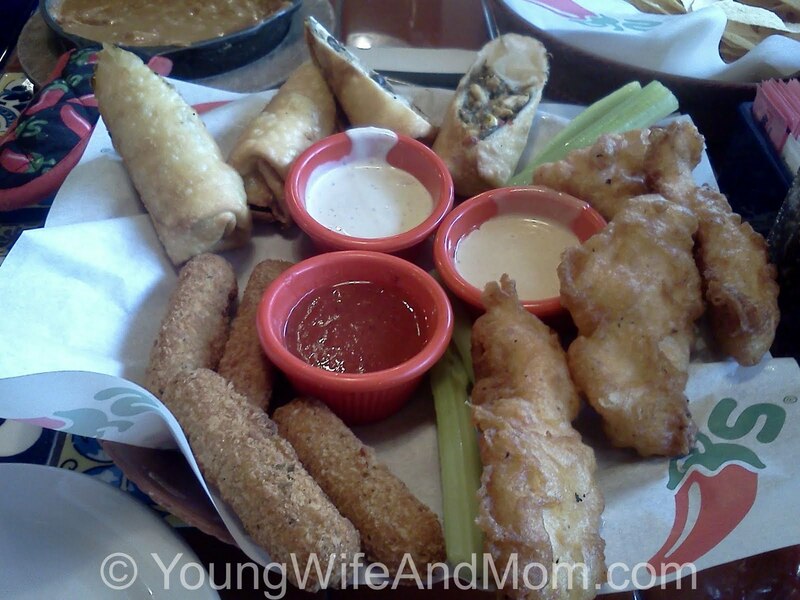 After "discussing" the different options for our Triple Dipper, me and the little one we decided on having the Southwestern Egg Rolls (Mommy's fave), the Chicken Crispers (the little one's fave) and the Fried Cheese. The meal was absolutely delicious. We had plenty leftovers for Hubby! For Fun, Chili's currently has the "Good Things Come in 3's" promotion on shoutouttoeat.com. Upload your photo into their Terrific Trio and enter to win great prizes. There's a winner everyday! Onto the giveaway! 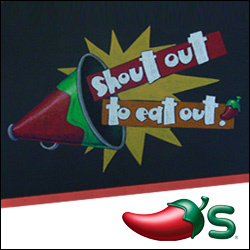 One Reader will win a $20 e-gift card to Chili's. To enter (18 and older, US only) please read on. Madatory entry: Click here and enter "Young Wife and Mom"
This giveaway will close on June 12, 2011. Thanks and good Luck! Disclosure: I was provided a gift card to try the Triple Dipper and give my opinion. No other compensation was provided. All opinions are mine.